Perfect for weekend meal preps. If you follow us, @therealfoodrds on Instagram, you most likely are aware that meal prepping is kind of our thing. While it doesn’t happen every weekend (because life), Jess and I both do our best to make it a priority. Because meal prepping is a big part of what we share on this blog, we create recipes with that in mind. Recipes that are made with few ingredients, are simple, approachable and of course, darn delicious. I’m no chef here, not one bit! So if I can make a recipe, you can too. Today, I’m sharing a recipe that I’ve been testing and tweaking during my meal preps during the last few months. 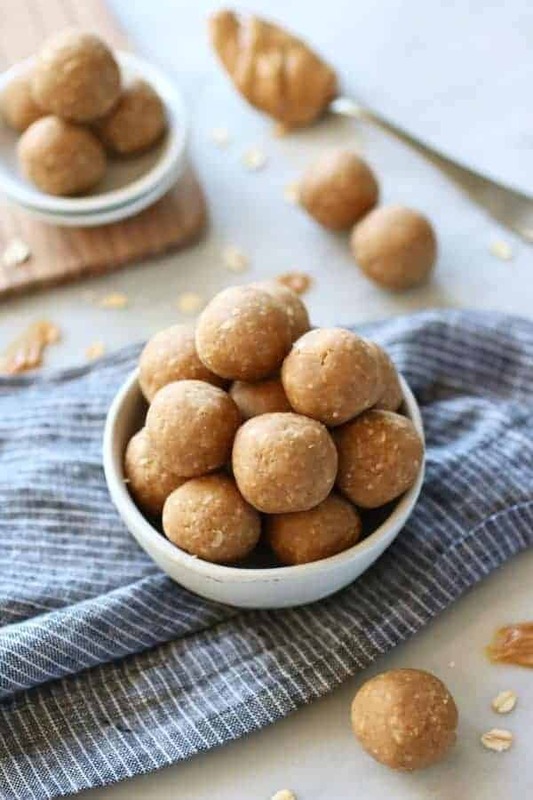 This recipe takes just 10 minutes of your time, so even if you don’t have time to do a full meal prep, you can at least whip up a batch of these ridiculously easy 3-Ingredient Peanut Butter Bites. Recipe tested to the max. I’d like to introduce to you my husband, Shane. 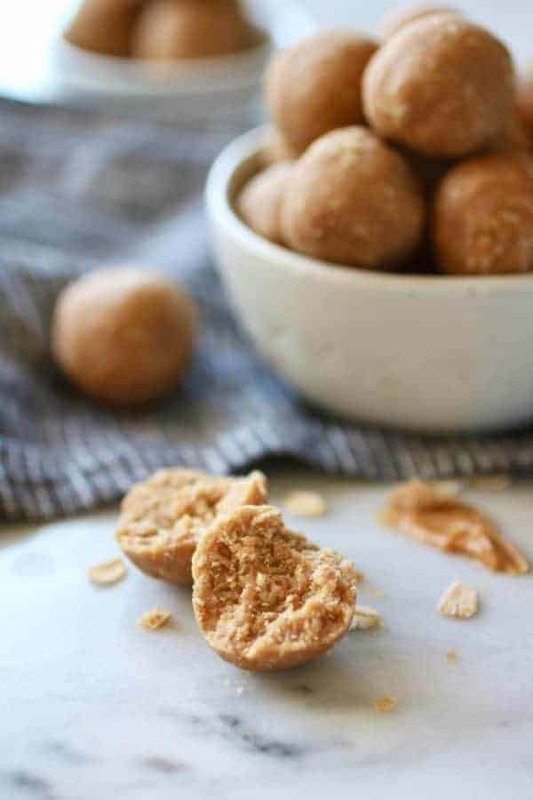 He has been my recipe tester with every single batch of these 3-Ingredient Peanut Butter Bites. So rest assured, this recipe has been critiqued to the max. From too dry and crumbly to so sticky you need a glass of milk to wash them down, we finally found an in-between. Give ’em a boost of protein if you wish! For a boost of protein, you can replace 1/4 cup of the oats for 1/4 cup of protein powder. I like to use Primal Kitchen Unflavored Collagen Peptides. 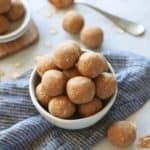 This protein powder won’t change the flavor of the 3-Ingredient Peanut Butter Bites and it’s a great way to sneak in nutrients that support anti-aging, healthy skin, healthy hair, gut and joint health. 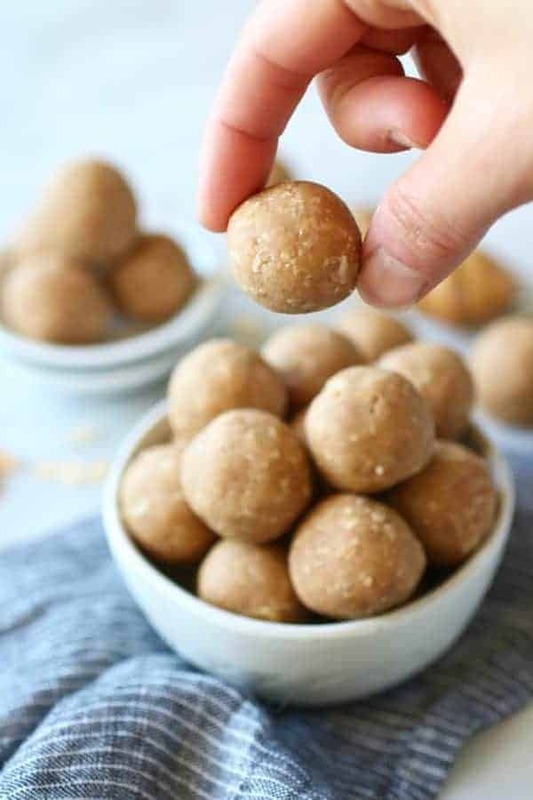 Double the batch because these babies are freezer-friendly! 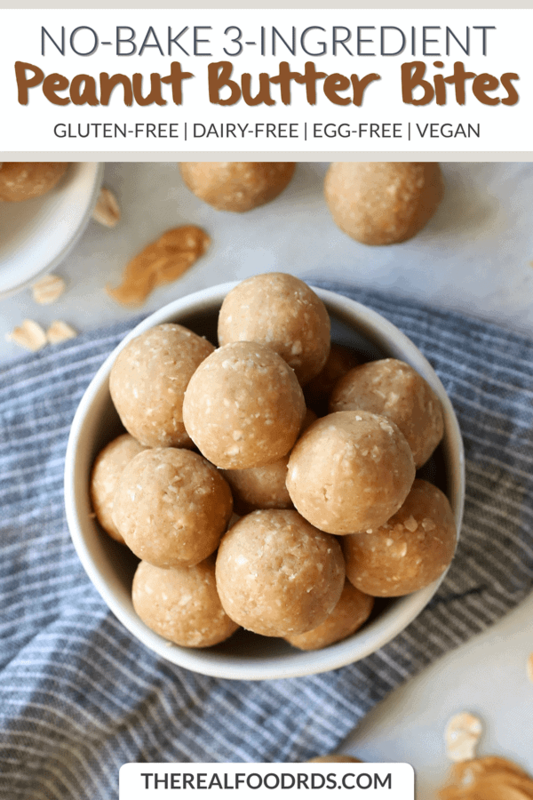 A recipe that’s simple to make, made with less than 10 real food ingredients, is meal ‘prep-able’, freezer-friendly and takes just a few minutes of your time is a total WINNER! These are my favorite kind of recipes because they allow you to eat healthy, nourishing foods AND you’ll spend less time in the kitchen so you’re left with more time to do the things you love. Make them nut-free with one simple substitution. We do our best to create recipes for ALL to enjoy! 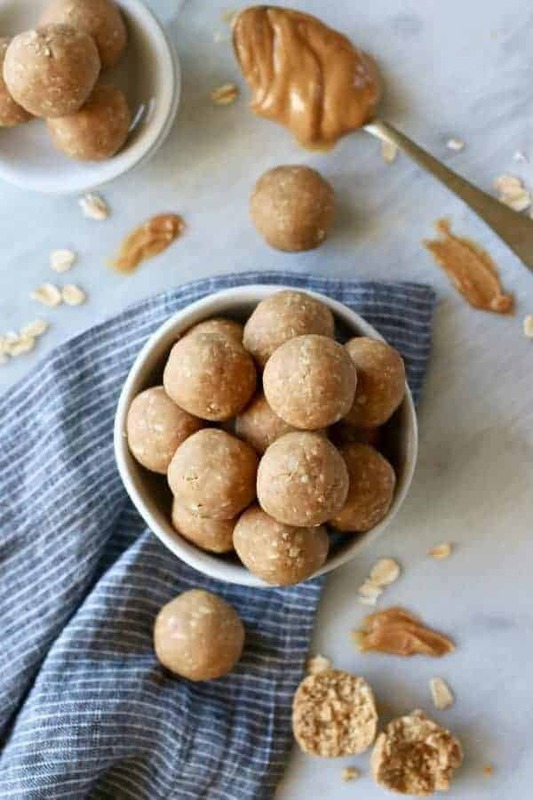 So if you have a nut-allergy, whether it be peanuts or tree nuts, you can simply substitute sunflower seed butter for the peanut butter in this recipe. It will give the bites a little bit different of a taste, but they’ll still be delicious nonetheless. 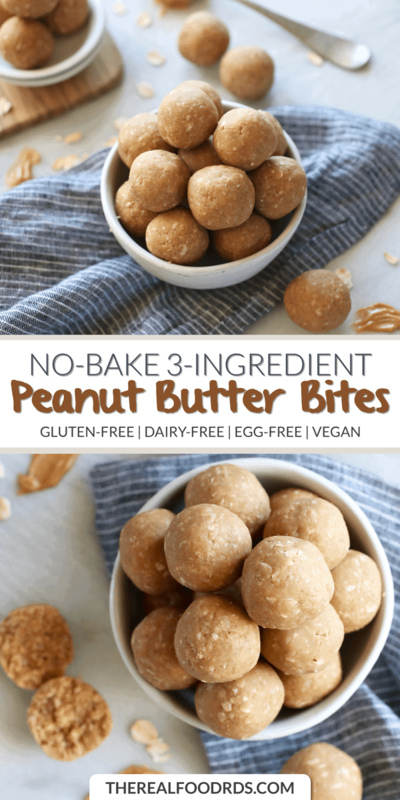 It’s time to give these PB Bites a try! Best of all, there’s a good chance you have all 3 ingredients on hand!